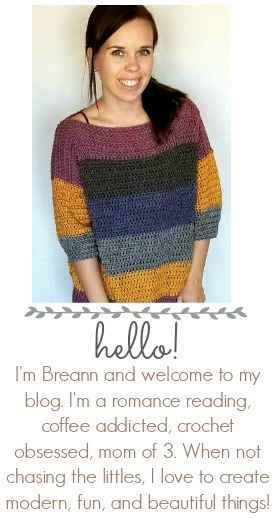 This is the LAST WEEK for the crochet along!! 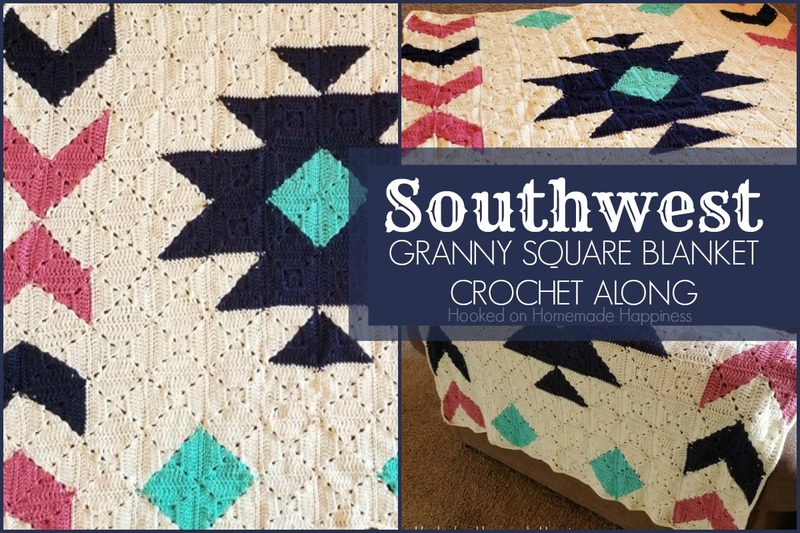 Thank you sticking with me for this CAL for the Southwest Granny Square Blanket Crochet Pattern here in Part 14! You can find the full materials list HERE, Part 1 HERE. part 2 HERE, part 3 HERE, part 4 HERE, part 5 HERE, part 6 HERE, part 7 HERE, part 8 HERE, part 9 HERE, part 10 HERE, and part 11 HERE, and part 12 HERE, and part 13 HERE. Be sure to join my Facebook Group to get the latest updates, share your progress with fellow crocheters, and ask questions! -Get part 14 of the pattern below or if you would prefer to have access to the entire pattern at once, I have a inexpensive, clearly formatted, PDF instant download available in my Etsy Shop or Ravelry Shop. Weave in your ends from sewing your squares last week. I did a very simple sc border all the way around. 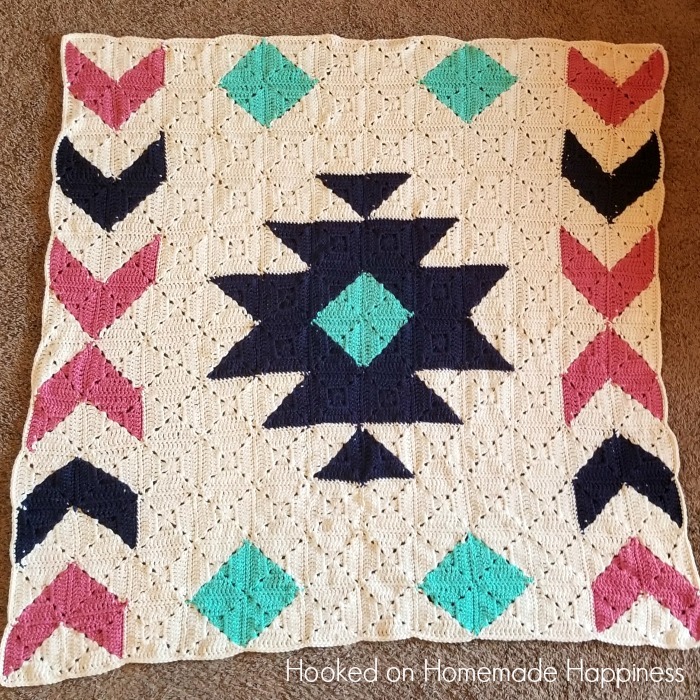 And now you’re done with this fabulous blanket!!! I hope you love it as much as I do!